“Fantastic Beasts: The Crimes of Grindelwald” is a disappointing and pointless addition to the Harry Potter universe. Brimming with cheap concessions for fans of the Harry Potter series and inconsistencies, the film fails to live up to its predecessor. Picking up three months after the events of “Fantastic Beasts and Where to Find Them,” Newt Scamander (Eddie Redmayne) is recruited by Albus Dumbledore (Jude Law) to find the Obscurial, Credence Barebone (Ezra Miller), while Gellert Grindelwald (Johnny Depp) is gathering wizards to start a coup. The movie brings back Porpentina Goldstein (Katherine Waterston), Queenie Goldstein (Alison Sudol) and Jacob Kowalski (Dan Folger) with little thought and unclear motivation. Throughout the film, the side plots lack cohesion and are confusing. The Goldstein sisters have conflicting story arcs that are threadbare in both plot and development of characters’ motives. Porpentina becomes a one dimensional character while Queenie makes senseless decisions that go against her personality established in the original film. On the other hand, Jacob stays true to his character, only serving as comic relief and a way to break up scenes. 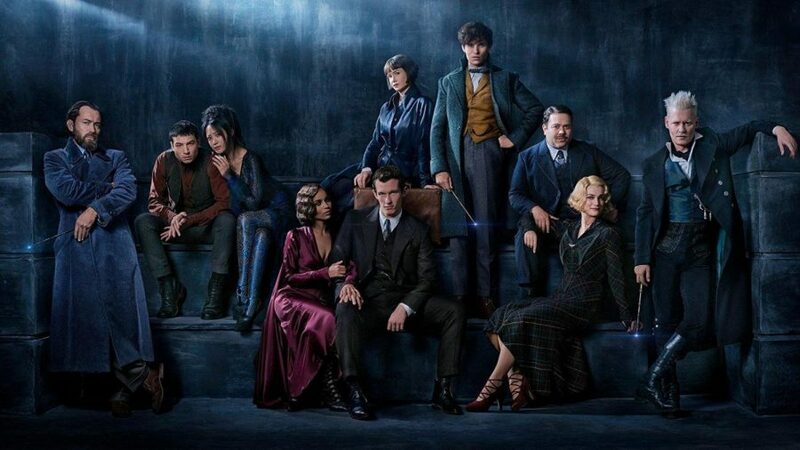 To add to the confusion, multiple new characters are introduced, including Leta Lestrange (Zoe Kravitz), Theseus Scamander (Callum Turner) and Nagini (Claudia Kim). While most of the new characters help expand the universe, many seem to exist for no other reason than to appease Harry Potter lovers. The entire side-plot following Nagini is not well fleshed out, while the snake subplot did not contribute to the plot. The screenwriters also chose to include an appearance from Professor Minerva McGonagall (Fiona Glascott). Her cameo has caused many fans to point out the inconsistencies in the Harry Potter timeline, as according to the original series, McGonagall should not have even been born in the 1920s, which is when “Fantastic Beasts” is set. The movie continues to disregard the precedents set Harry Potter universe by having magic work in ways that are inaccurate based on the original series. From inaccurate usage of the Elder Wand, Polyjuice Potion and spells, fans have expressed irritation over the lack of alignment and consistency to the original Potter series. Even Dumbledore’s job is switched in the film, showing the lack of time the creators spent researching the film. These technicalities could be overlooked if the plot was not so confusing. There were multiple storylines throughout the film and a bewildering amount of back story that didn’t move the story forward. The “Fantastic Beasts” movies do not have the luxury of hundreds of pages of novels to flesh out the characters and their histories. This forces “Fantastic Beasts: The Crimes of Grindelwald” to be filled with an excessive amount of exposition. The entire film felt like a setup for the rest of the series. As a stand-alone movie, “Fantastic Beasts: The Crimes of Grindelwald” fails. I can only hope that J. K. Rowling has great plans for the following three films and will amend all the plot holes created.